To celebrate harvest, we had a visit from Debbie Green in assembly. Debbie has been coming to Torrisholme for harvest for eight years and she told us that she has never seen a bigger harvest table! 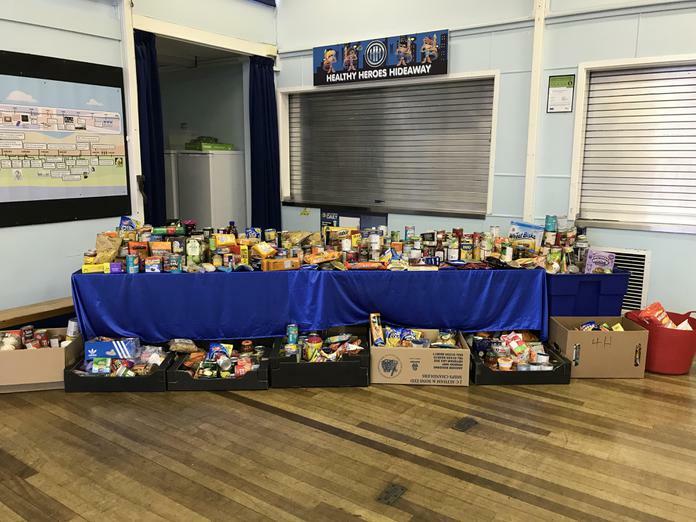 Thank you so much for all your generous donations for Morecambe Bay Foodbank - it is very much appreciated. The collection is being picked up on Thursday, so there is still time to get any last minute donations in. We will be collecting for the foodbank again in the run up to Christmas.